We don’t want you to deny yourself some flavorful dessert especially after a tasty meal! So, here’s a perfect dessert for all of us. 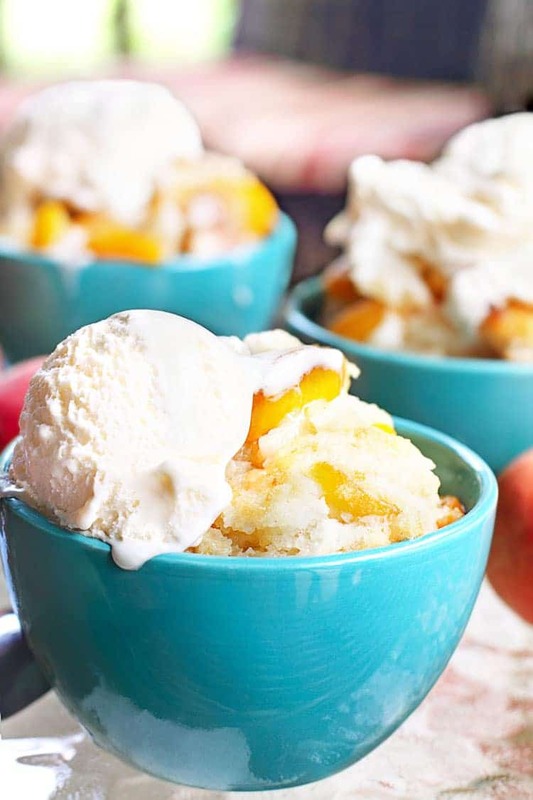 The Weight Watchers peach cobbler is perfect for satisfying your next sweets craving while on a Weight Watchers diet plan. If you have the points to spare, add a small scoop of fat-free vanilla ice cream and savor that indulgent flavor! We want to savor the flavors of summer and we prefer to think that we all have a sweet tooth buried somewhere within us. 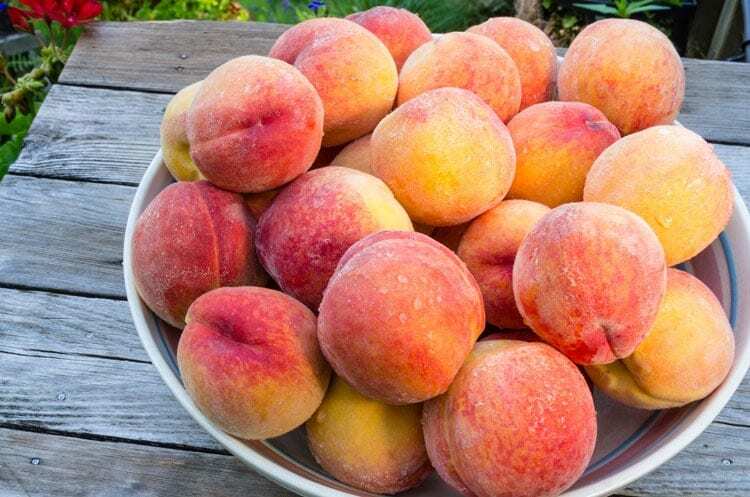 Use Canned Peaches or Trade Them Out for Fresh! So it’s always a great idea to serve up some sliced fresh peaches cooking away with butter (flavored cooking spray, that is) and spices, right? It relives the taste of summer but whatever the season, this homey dessert is always irresistible after that traditional baked Grilled Pork Ribs meal. Well in fact, it’s perfect after any meal, like our yummy Chicken Salad or Grilled Chicken Halves. This warm-weather dessert may be seasonal, but you can always serve it anytime of year. We love a good Weight Watchers cookbook because they give us all sorts of new recipe ideas. Which is always a winner. Planning to host a backyard barbecue? This is always one of the perfect ways to end to a summer meal. 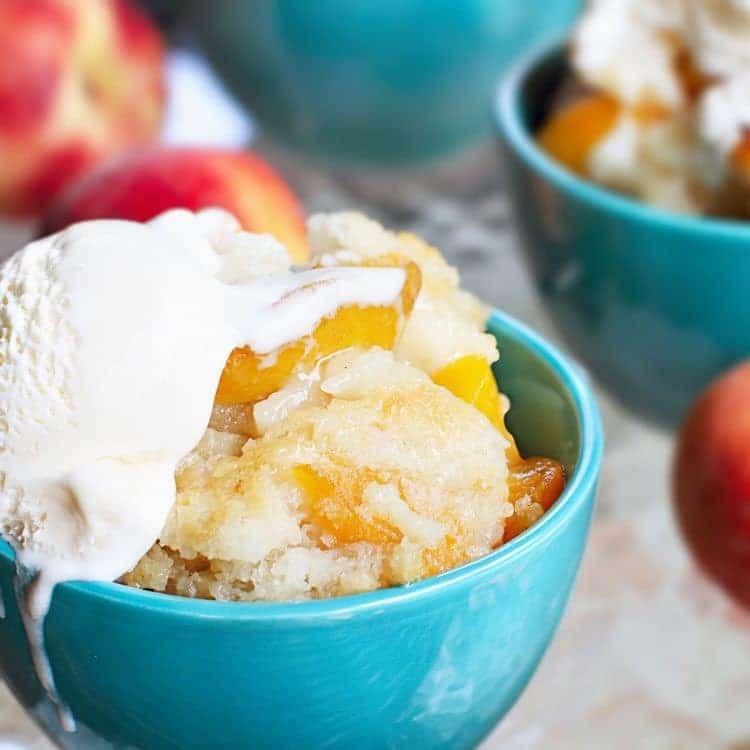 We can reassure you that this Weight Watchers peach cobbler recipe will make sure your cookout ends on a sweet note. You’re going to love this tasty peach cobbler. We’ve made it so many times and absolutely dig in every single time we make it. 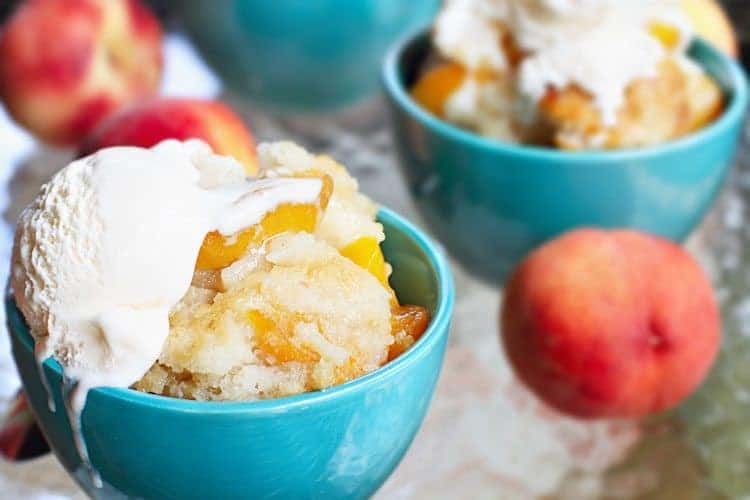 Peach Cobbler is an easy and delicious recipe that is SO perfect for summer cookouts without all the guilt of high calorie desserts. Pair it with a small scoop of fat free ice cream and you’re set! Now you can eat one of your favorites on Weight Watchers diet. 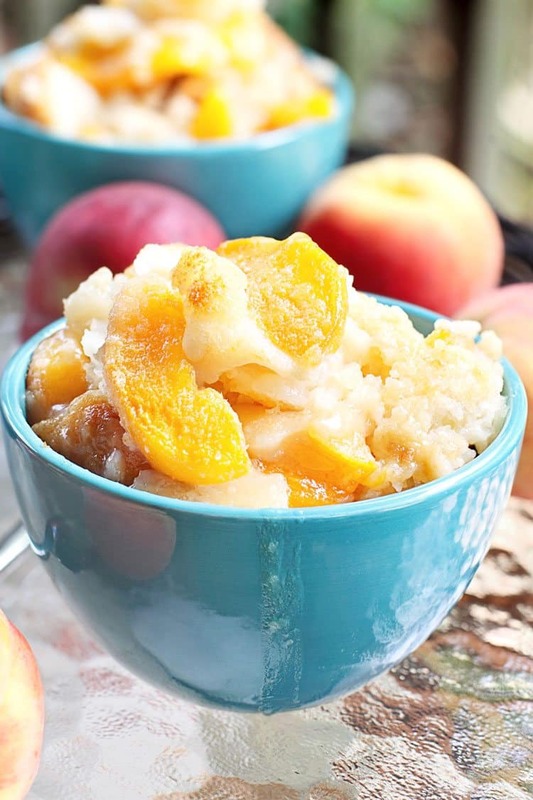 Weight Watchers Peach Cobbler recipe is easy and delicious. Just make sure to use small bowls! Mix first 3, fold in peaches, pour into greased (spray with cooking spray) dish and then give a light spray of cooking spray on top. Bake in 375 degree oven for 30-35 minutes or until golden brown. Every thing looks so good..can’t wait to try the food. Yes! Drain the peaches. Enjoy! Can you use fresh peaches in this? Sure! Just adjust the cook time accordingly, it might need a couple more minutes. What size can of peaches? We used a 14 ounce can. Thanks! The do you happen to have calories & fat info for this. Not currently following WW but use recipes as a guide. Trying stay on 1220 cal a day. Thx!! I don’t have that on hand, but you can copy and paste recipe ingredients into a calorie calculator. An 8-inch pan works great! Can you use fresh peaches? Yes! You might need to adjust the cooking time just a little bit but it should be close to the same. We LOVE fresh peaches! Hi, the recipe is 2.8 Smart Points and serves 6, servings would be about 1/2 a cup. How many fresh peaches is used for this recipe? For fresh peaches, I would use 3-4.